A new vehicle telematics framework agreement established by the Government’s Crown Commercial Service will help public sector fleets to make more efficient use of their vehicles, according to ALD Automotive. A number of telematics specialists including ALD have been appointed to the RM3754 framework, which forms part of the Government’s approach to helping public sector bodies understand the whole-life costs of vehicles. 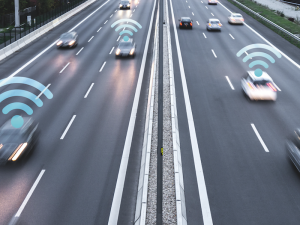 It also identifies that vehicle telematics can bring significant benefits in terms of monitoring areas such as fuel consumption, vehicle tracking and driver behaviour, with the data provided offering a key insight into how to make significant cost reductions. ALD Automotive is already listed on the CCS Vehicle Lease and Fleet Management framework RM3710, under Lot 1 which covers the lease of passenger motor vehicles and light commercial vehicles up to 3.5 tonnes, including cars, vans, 4x4s, alternatively fuelled vehicles (e.g. hybrids, electric) and converted vehicles up to 3.5 tonnes. Commenting on the new agreement, Bernard Tomkins, ALD Automotive’s corporate sales manager – public sector, said: “Our appointment to the Telematics Framework allows us to offer our Telematics package to public sector clients without them having to go to tender. Our Public Sector offering is further enhanced as we are the only leasing company on both the CCS Leasing and Telematics Frameworks.